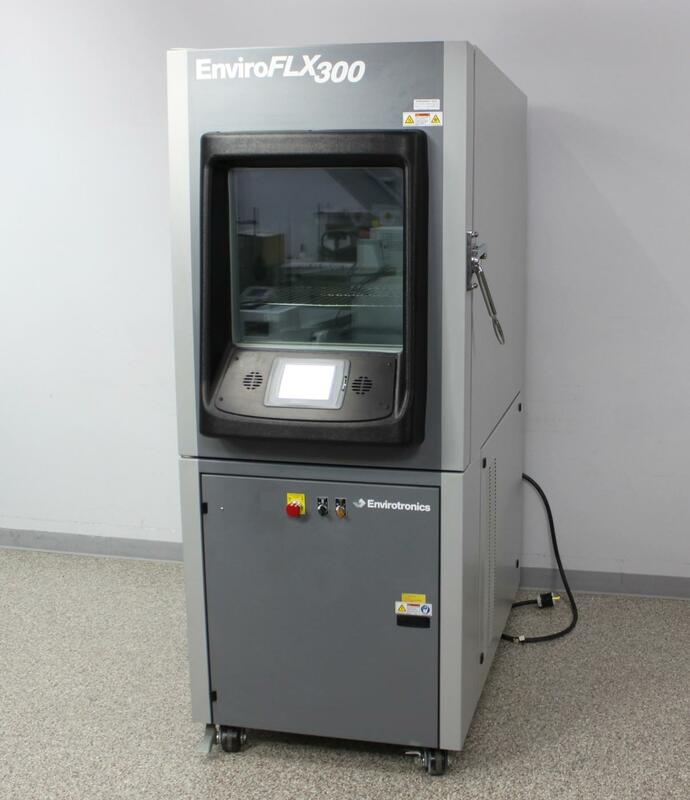 Envirotronics EnviroFLX300 Reach-In Environmental Test Chamber FLX300-1-2-AC-T . New Life Scientific, Inc. Tested from -45°C to +192°C. Includes 90-Day Warranty. design and easy touchscreen interface, then you’ve found the right one. and a high temperature of +192°C. inside and out with some minor wear and a few scuffs on the exterior. No problems were found with this environmental chamber. and response time was fast. chamber for more shelving to be added. surfaces not only resistant to corrosion, but also fast and easy to clean. defects. If anything goes wrong, our in-house support is only a phone call away.